I apologize as my posts as of late have been few and far apart. I guess that’s what happens when the summer sun rolls around, you’re still stuck studying, and working over 45 hours a week. Oh well. 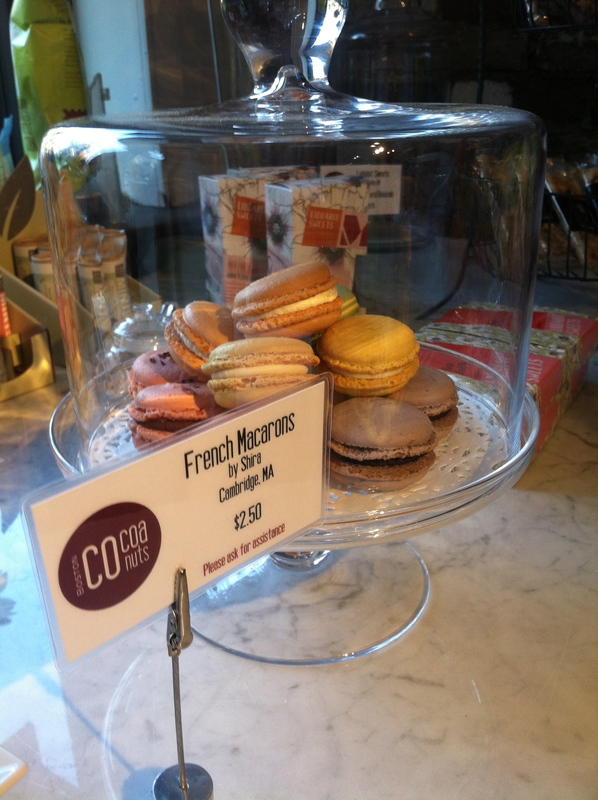 I’m happy to say I have managed to find time for a few social events, one being a Blog and Tweet Boston event @blogandtweetbos, at Cocaonuts artisan chocolate shop in the North End. 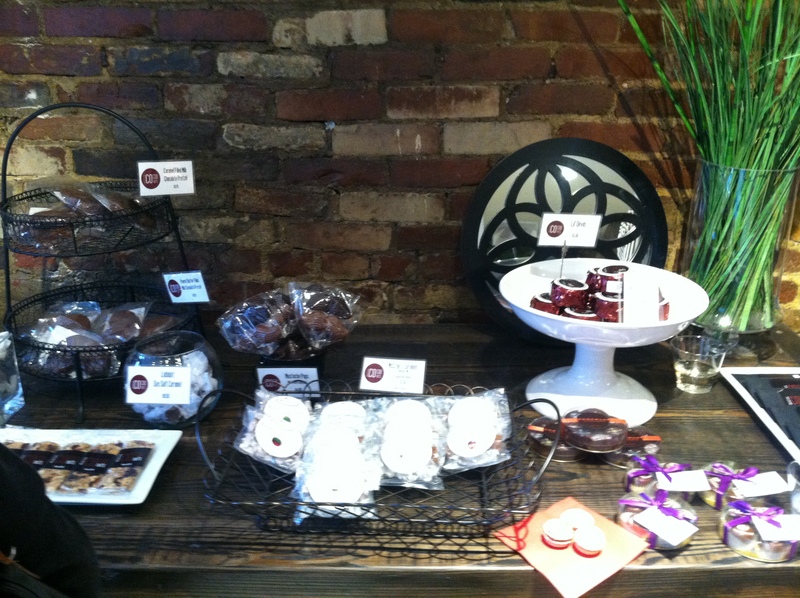 The shop features chocolates from local chocolatiers, such as FIX Chocolates, and Yes chocolates (which come in flavors like “beer and pretzel” and “PB&J”). 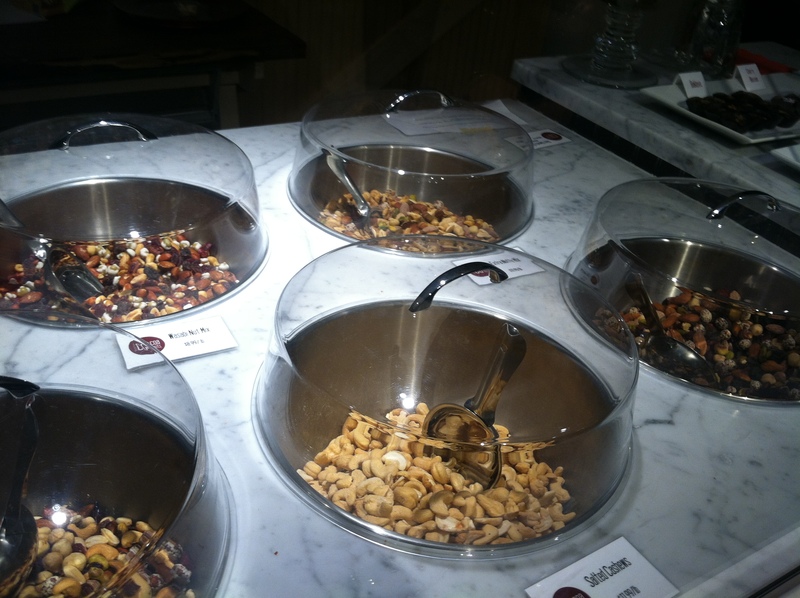 The shop prides itself on sourcing from local companies, and caries a selection of nut mixes and dried fruits, as well as other gourmet snacks to complement the variety sweet products and make for a perfect picnic or bridal shower arrangement. 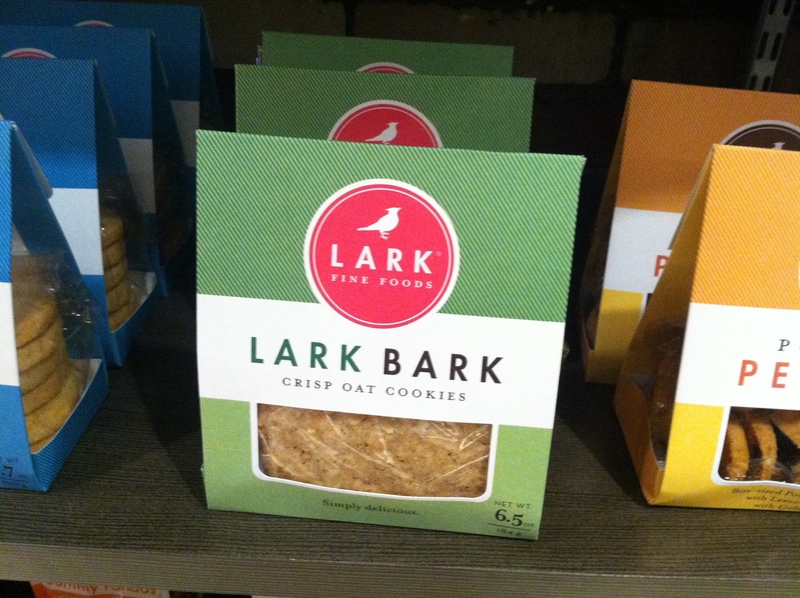 While there I was able to sample several cookies from Lark , which uses all natural ingredients and a unique combination of flavors, like polenta, salted rosemary, and crisp oat to make for a truly addictive treat. 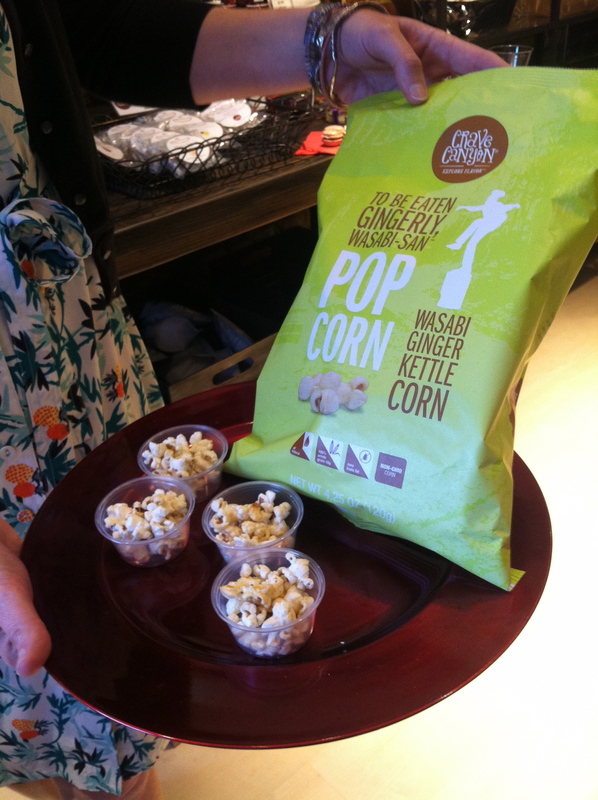 We also sampled treats with names like Mango Juniper, toffee made by Little Bits (which was honestly my fav! 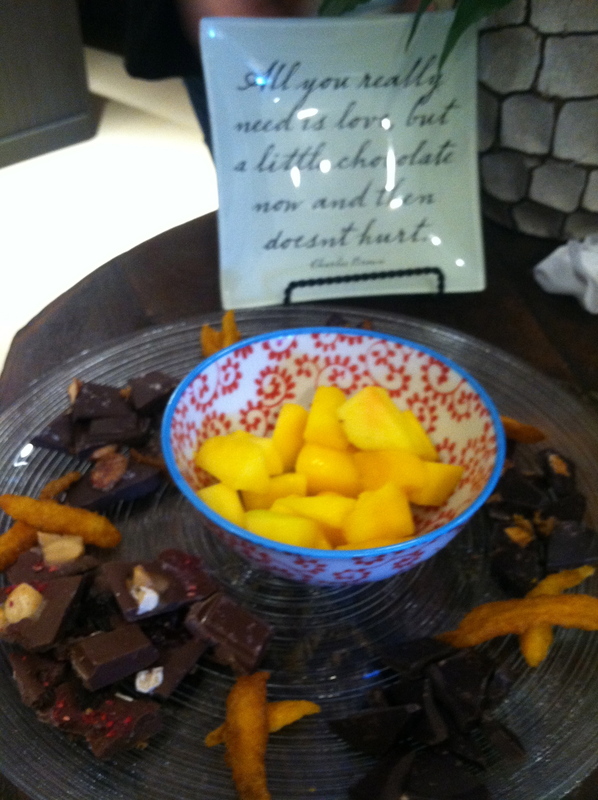 ), raw chocolate, and ginger and golden berry chocolate, amongst much more. Little Bits is a family-owned shop that boasts flavors of coconut, cookies and cream, Hawaiian seat salt, and espresso toffee bits. If you’ve never been to Cocoanuts or are looking for a purely decadent treat, gift, or product from individuals who care about fresh, raw ingredients, local products, and above all summer entertaining, I suggest you check it out. The shop is incredibly adorable and as mentioned plenty of times already, offers the most delectable, rich treats imaginable, made right here in Mass! It was a pleasure being able to connect with my other blogger friends and enjoy such fine arrangements of chocolates. 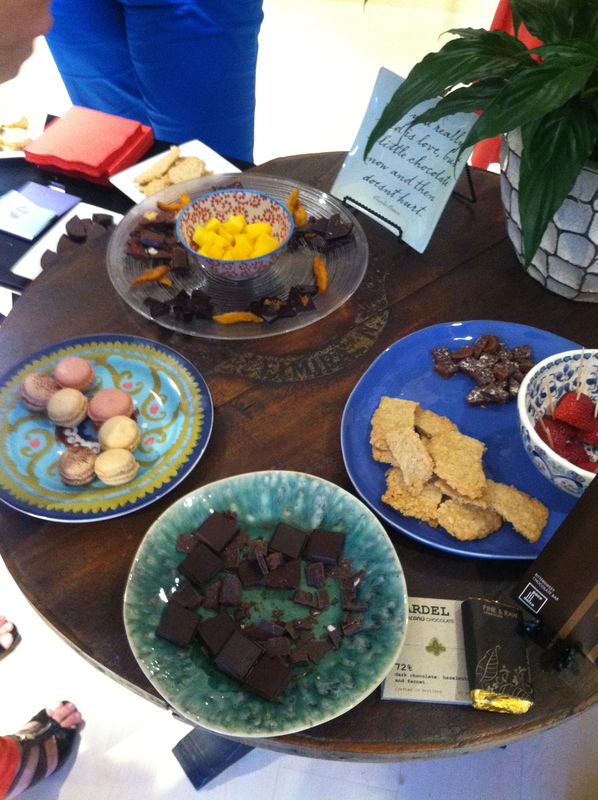 Tara, the owner, set up displays of chocolate with fruit and cookies and shared some of her tips for entertaining. By breaking up little chocolate bits to serve on platters, it makes for a nice enjoyable treat after dinner or to creatively incorporate sweets into any party that friends will surely enjoy! The biggest thing I learned was to not store chocolate in the fridge. (oops!) Condensation can form as a result and change the texture. Tara recommended instead to store at a cool room temp. 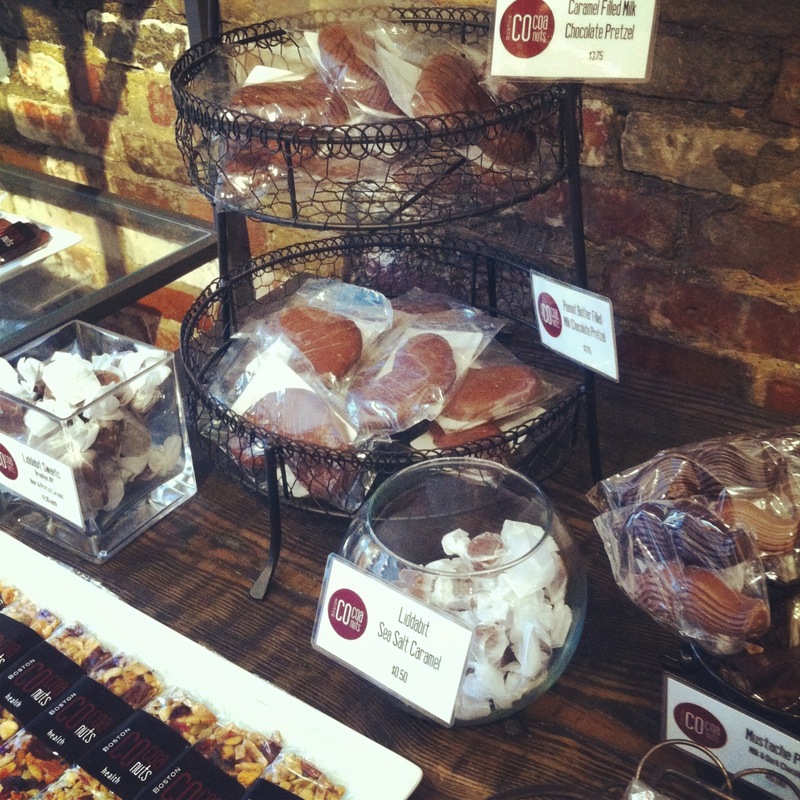 If you love chocolate, then head on over to Cocoanuts! You can sample chocolate made with rich caramel and sea salt, or some infused with peanut butter, apple wood smoked bacon, and caramel. I can honestly say I tried just about everything twice and then some. 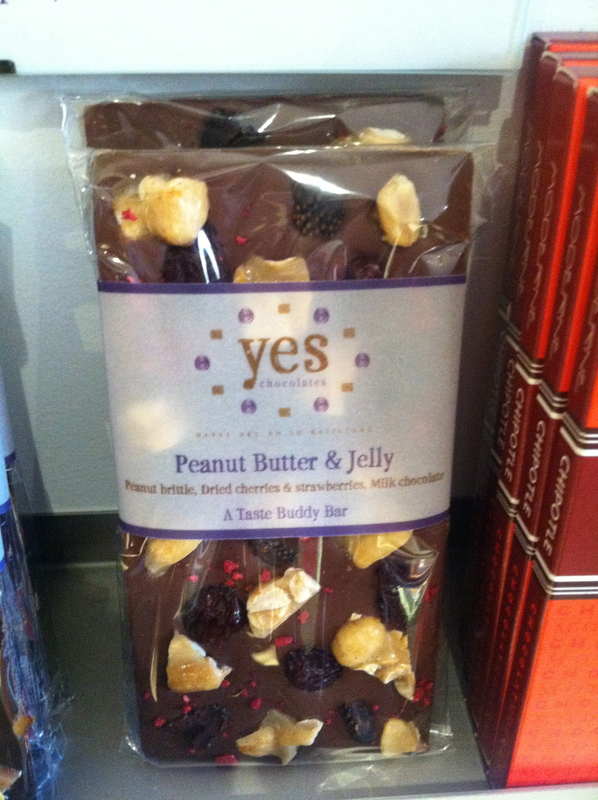 But, I really enjoyed the peanut butter brittle with strawberries, organic raw cocoa, and a macaroon with jelly inside that burst in your mouth with the first bite, which was creative and really cool! Antedote chocolate also had some really neat flavor combos that were 77% cacao, lending smoothness and not a hint of bitterness considering. The ginger and golden berry really stood out to me as did the mango and juniper. 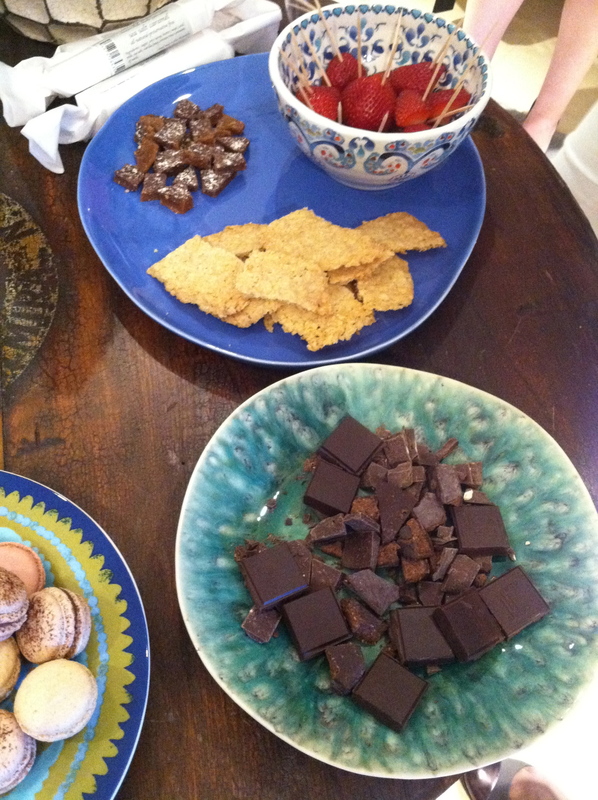 This experience gave me some great ideas for upcoming gatherings, and exposed me to new way of enjoying and appreciating chocolate! Thanks to Tara for opening your doors, creating adorable arrangements, sharing your chocolate, and providing us with a wealth of neat tips and ideas and a night of invaluable fun. 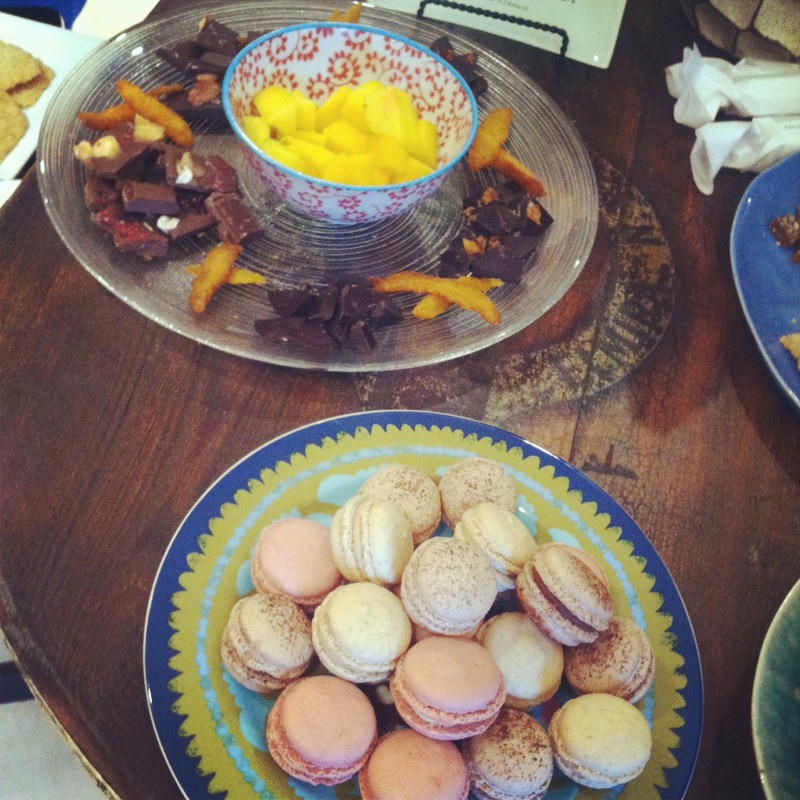 Thanks to the business owners who joined us by creating and sharing their wonderful treats and their passion with us. 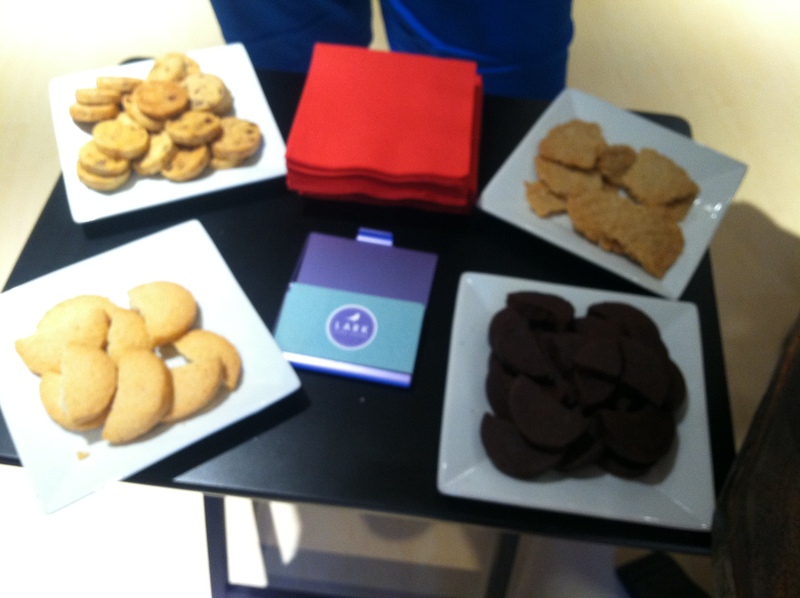 On a side note, most of the items and cookies were gluten free! So get slicing and serving with chocolate and red wine !